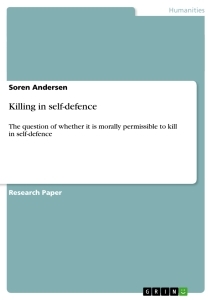 The question of whether it is morally permissible to kill in self-defence is generally agreed on by philosophers, only in the most extreme ends of the spectrum. Thus few would object that in most cases it is morally permissible to kill Villainous Aggressors and morally impermissible to kill Bystanders. What has been disputed by Michael Otsuka, amongst others, is whether it is permissible to kill the category of innocent aggressors and innocent threats, a characterisation set forth by Judith Jarvis Thomson in an attempt to systematise the ethics of killing in self-defence (Thomson 1991). In a defence of, and an elaboration on, Thomson’s 1991 views, Jonathan Quong argues that it is permissible to kill the innocent aggressor and the innocent threat in self-defence, but on different ground than Thomson (Quong 2008). Much of the argumentation is based on the claim that in the trolley scenario, it has been considered morally permissible, though widely unexplained why, to divert the trolley, thus killing one and saving the life of five. In a more recent paper inspired by the idea of an M.I.T. student, Alexander Friedman, Thomson has now embraced the view that the trolley problem in fact was a “non-problem”, and that it after all was not permissible to divert the trolley1 (Thomson 2008:359ff). My conclusion on this shall reveal that I generally agree with the conclusions of Quong, though I disagree with the way he reaches these conclusions. 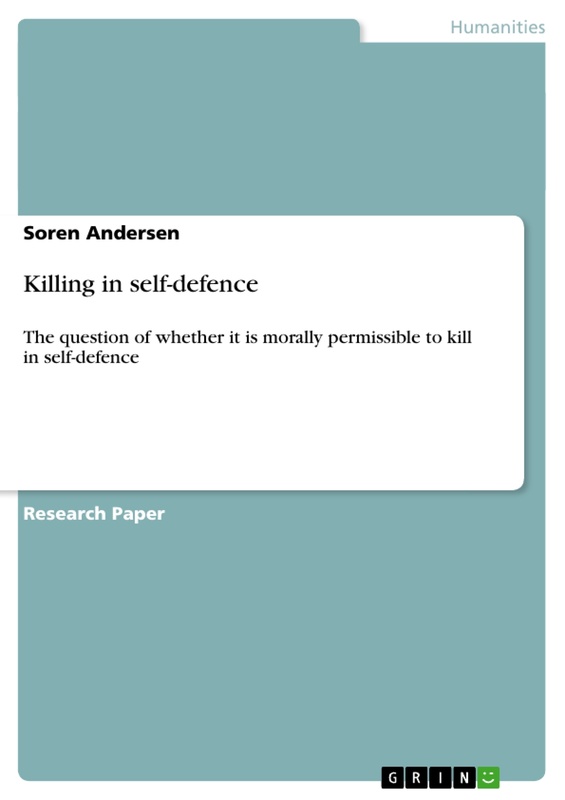 In doing this, I shall present some scenarios which might not fit neatly into the proposed categories of Thomson, in order to examine whether the categorisation hitherto used is adequate and to investigate the possible implications this might have for a theory of killing in self-defence. Thomson has argued that the killing of innocent aggressor/threat can be justified qua a rights-based approach to the problem (Thomson 1991:298-303). Otsuka dismisses this stance by pointing out that Bystanders and Innocent Aggressor/Threat share the same moral property, namely that they both lack responsible agency in the cases, and thus should be treated as morally on par. Since you are not allowed to kill the former, neither are you allowed to kill the latter (Otsuka 1994:86-91). This has recently been disputed by Quong, who claims that Bystanders and Innocent Aggressor/Threat are in fact not morally on par, but, contrary to Thomson, focuses on the importance that agent-relativity may have in such cases. In dismissing Otsuka’s argumentation, Quong sets out to prove that what he calls The Narrow Thesis and The Moral Responsibility Argument is wrong. As we shall see, this repudiation is problematic in its argumentation. Quong calls man on the track and man on the overpass (Quong 2008:7). Is there really a moral difference between the two cases? The difference is “...presumably explained by the fact that you would be using or intending the death of the large man in a way you do not use or intend the death of the man in Man on the Track” (Quong 2008:8). I believe that Quong here wrongly focuses on intentions, when he should be focussing on actions: “the agents have to do something to bring that outcome about”, in the words of Thomson (2008:373). It is doubtful whether there really is a moral difference between the two scenarios; what is more plausible is that the perceptions of the means are highly asymmetrically distorted. In Man on the Overpass you seem to play a much more active role by performing an extremely physical infringement on his rights, while in the case of turning the trolley, there is a much greater distance both in moral space and time, causing us to adapt the (maybe naive) attitude that you “bring about that more life merely by turning a trolley”(Thomson 2008:374). In reality, in both cases you use the bystander to alter the outcome of the scenarios. There is certainly a relevant cognitive difference between pushing a man of a bridge and running him over, but whether there is a moral difference is much more disputable2. A critique that could be set forth in this case, would be that in man on the track, you do not need the Bystander (i.e. causally) in order to alter the outcome, but merely the option of diverting the trolley, thus you would not be using the man in the same way as in the case of man on the overpass, who you actively need in order to stop the trolley. This is a misconception of the scenario. In my opinion, you do actively need the space that the man on the track occupies, just as much as you need the large man on the overpass (and the space that his bodily presence occupies). Quong actually acknowledges this in a scenario called Bridge. In this scenario you are being pursued by a Villainous Aggressor and the only option to avoid certain death is to run across a bridge on which there is a man present (Quong 2008:30).  Crossing the bridge will cause the man to get toppled of it, resulting in his death. In this case, Quong insists that it is impermissible to run across the bridge. Why? After all, if we are allowed to turn the trolley in Man on the Track, why should we not be allowed to cross the bridge? I consider the moral implications in these cases to be analogous. As Quong rightly observes, “you do not need access to the precise physical space where the bird watcher stands on the bridge”, but if getting on the bridge results in the man being toppled off, then it is a de facto invasion of his space, or in other words: “To get on one part of the bridge is effectively to seize the whole bridge” (Quong 2008:30). Analogously, in man on the track, we do not need access to that particular stretch of track that the man occupies, but the consequence of diverting the trolley is parallel to the situation of getting on the bridge. As soon as we set foot on the bridge, i.e. the moment we roll down those first yards of track, we are laying claiming to a space that is essentially non-claimable, because the man on the track has a prior claim to that space by virtue of being there first. Thus we might say that to get on the track with the man on it, is to effectively seize that whole track - we need the physical space the man occupies in order to alter the outcome of the scenario, thus we need the man. Some would probably argue here, that the space that the man on the track occupies is not his to occupy - tracks are meant for trolleys, not for persons. But what if he was a workman? That certainly should allow him to occupy the space. To make the case clearer, consider Thomson’s equivalent example of Alfred who is on his way to a restaurant in his car when the breaks suddenly stop working (Thomson 2008:369). The people that are going to be killed by his unfortunate situation can hardly be said to occupy a space that is not theirs to occupy. In the words of Thomson you are “no more free to turn the trolley than I am to shove the fat man off the footbridge into the path of the trolley” (Trolley 2008:368). Thus the example does not help us to clarify neither why The Narrow Thesis is false, nor why killing is worse than letting die, since in both cases you are effectively killing, not letting die. Hence we can say that since man on the track is not necessarily a right judgment, we cannot deem the narrow thesis false - or at the least we cannot use this particular argument to render it false. This does not necessarily mean though, that the narrow thesis is neither fully nor partly true, or even an obstacle in order for us to make our point. For if we want to distinguish Innocent Aggressors and Threats from Bystanders, and I believe that we should, we cannot “assert the truth of the narrow thesis as a way of denying that any non-consequentialist method for distinguishing Bystanders from Innocent Aggressors and Threats is even possible” (Quong 2008:8). Still, in rejecting The Narrow Thesis better arguments and clearer cases will have to be constructed. Another case seems to cause problems for Quongs argumentation, namely a derivative of the well known scenario transplant 3. Transplant Variant: As in the classic case of transplant, you are a doctor who has five patients who each are in dire need of a new organ. The patients will die unless they receive these organs soon. The di!erence in this case is that you are the cause of their illness, because you intentionally poisoned them. A young traveler enters the clinic, and you discover that he has compatible organs with all the patients, thus you have the possibility to cut him up and redistribute his organs amongst your patients, should you choose to do so. 2 Is there for example a great moral difference between the soldier who kills using light firearms in close combat and the pilot who drops a bomb from 40.000 feet? I do not believe so. Raise of the Midgets. Towards a European Security and Defence Policy. Chesterton's "The Innocence of Father Brown"